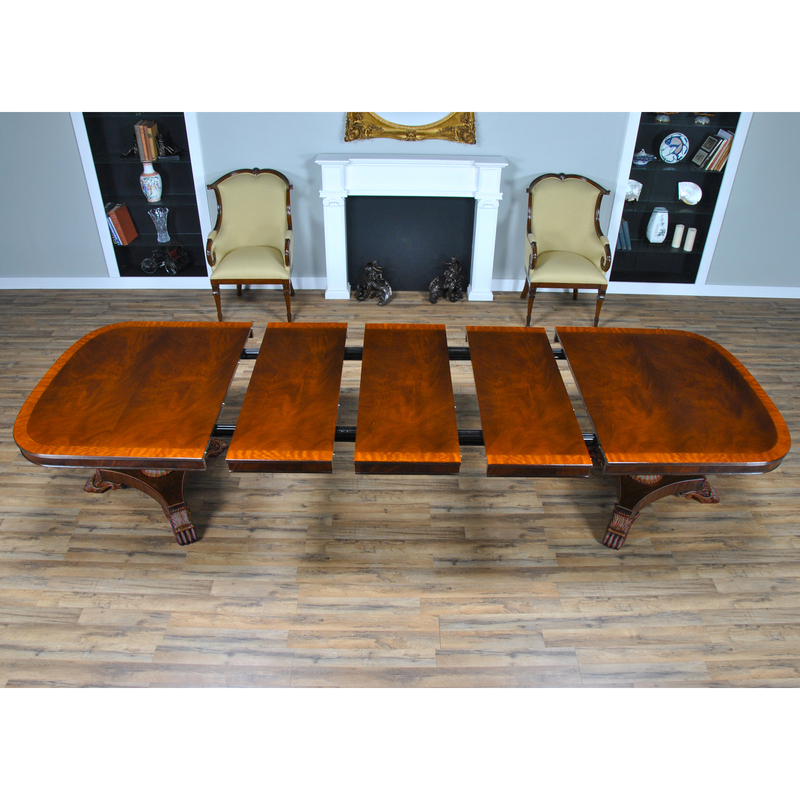 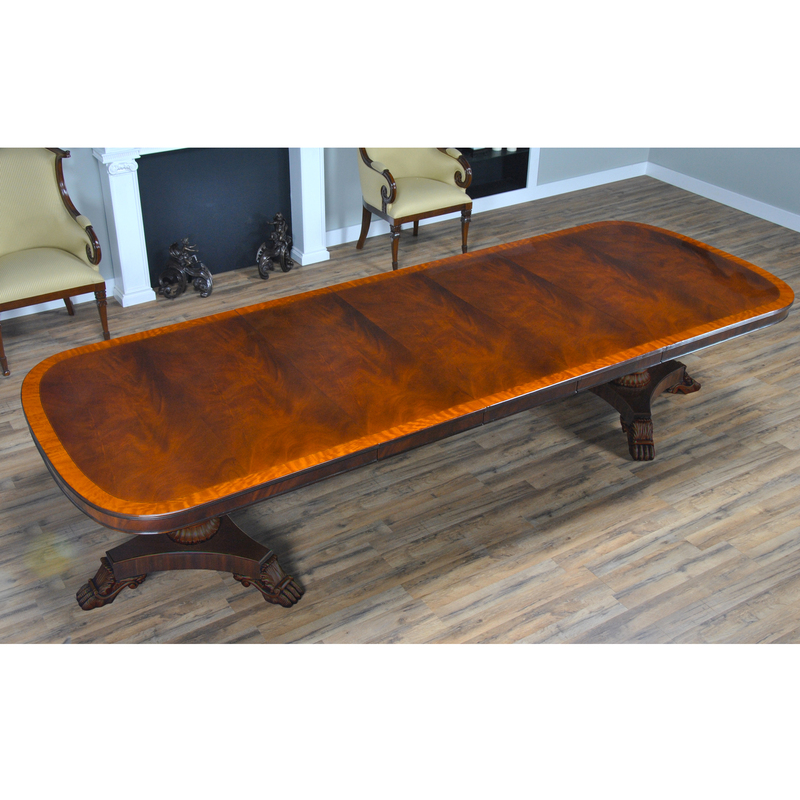 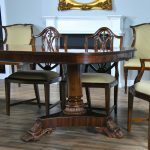 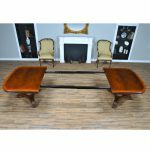 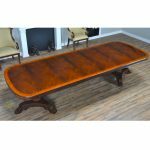 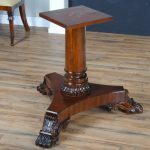 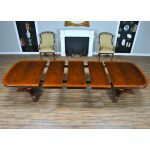 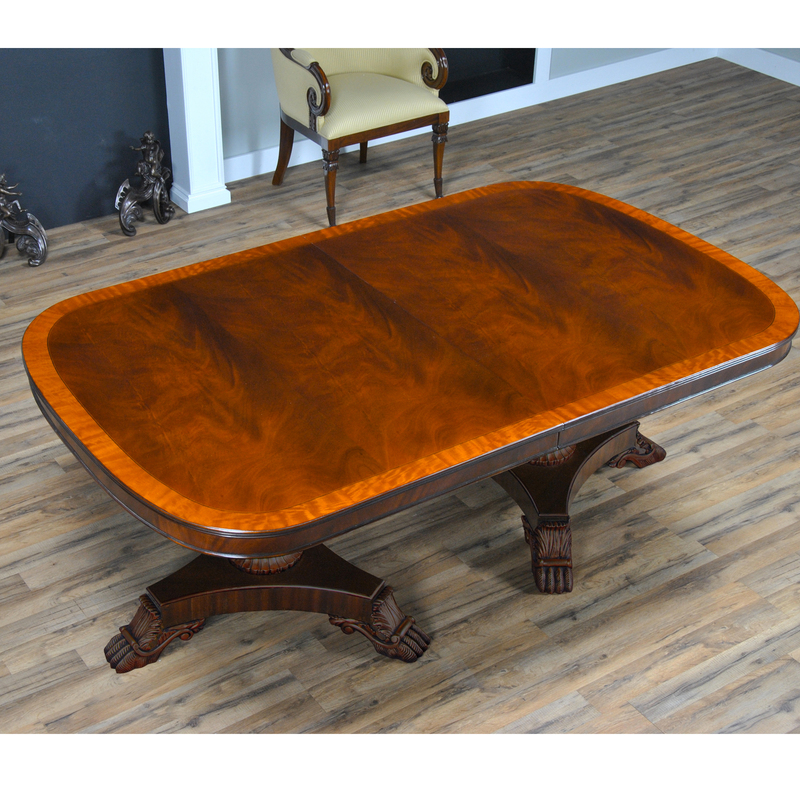 This is the Niagara Furniture interpretation of a Regency Mahogany Dining Table. The two pillared and paw footed solid mahogany pedestals create a stunning statement. 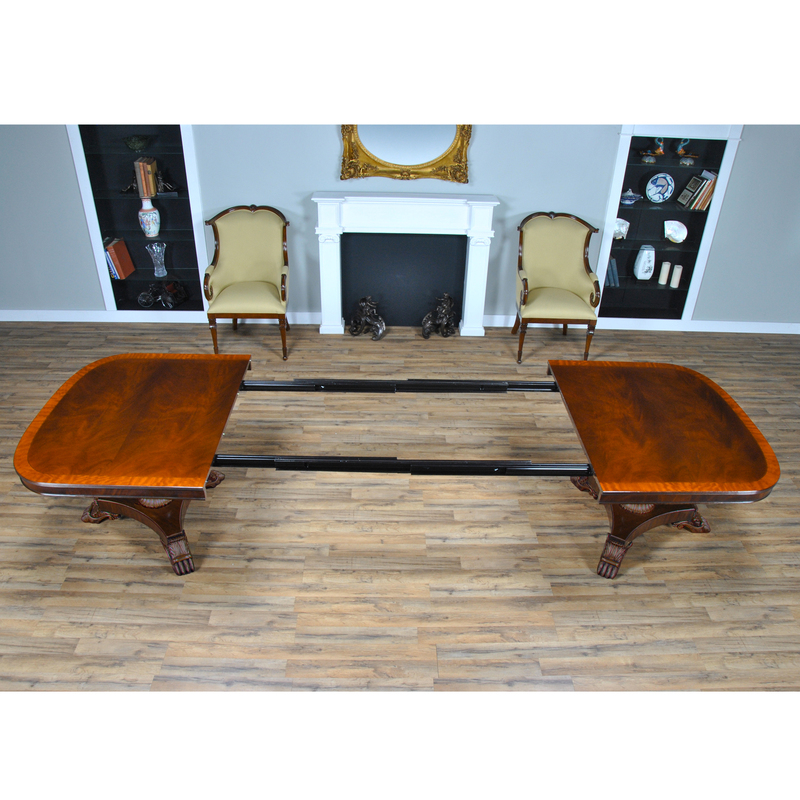 A fine quality apron supports the top of the Regency Mahogany Dining Table and works to conceal the American made metal rails which support the table when being opened and closed. 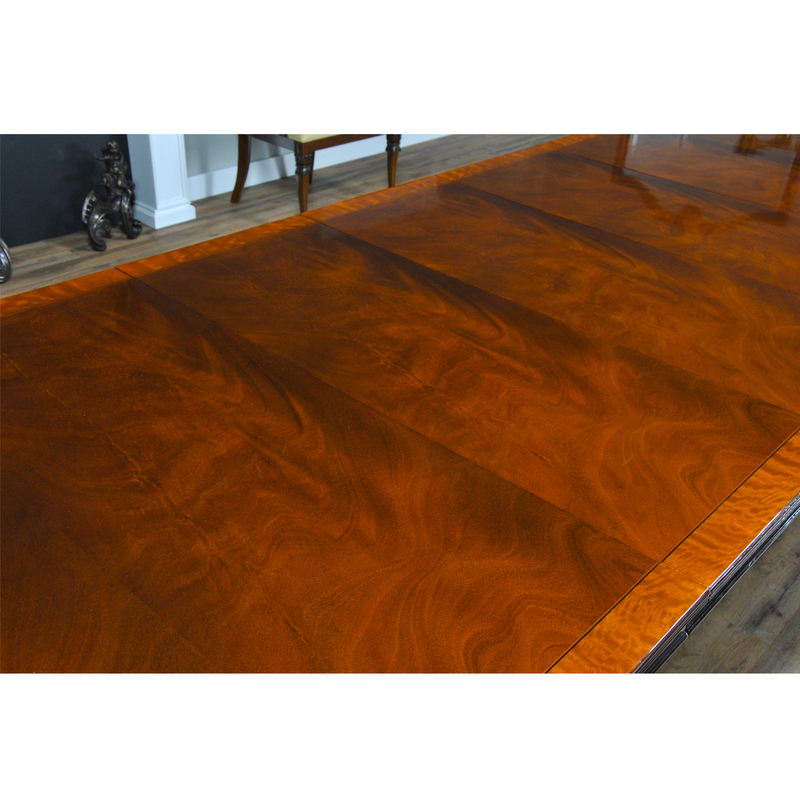 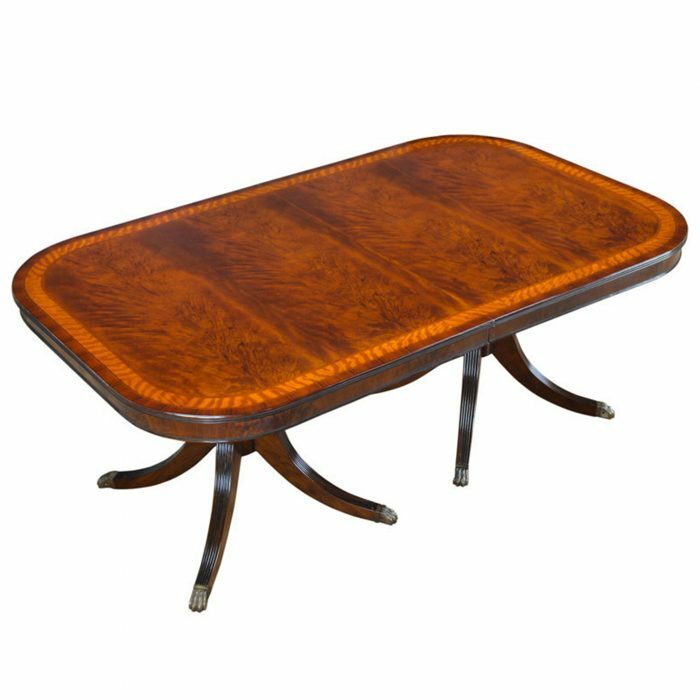 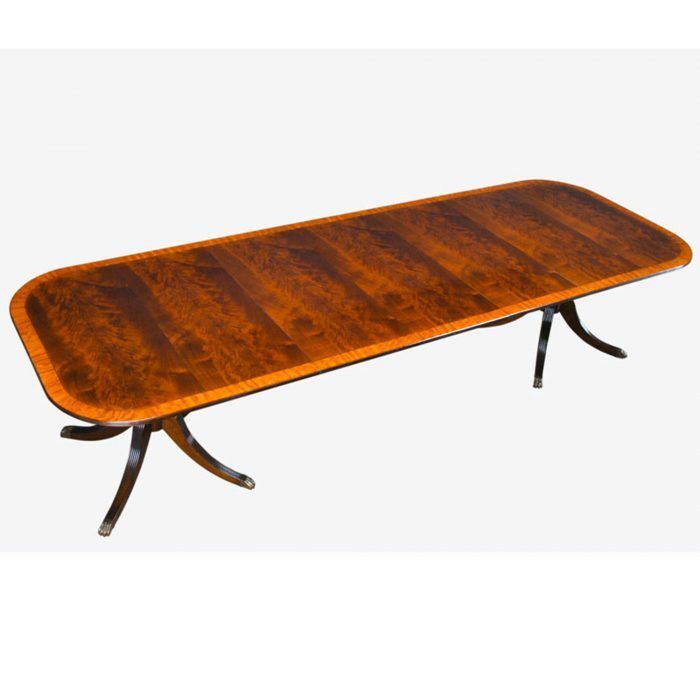 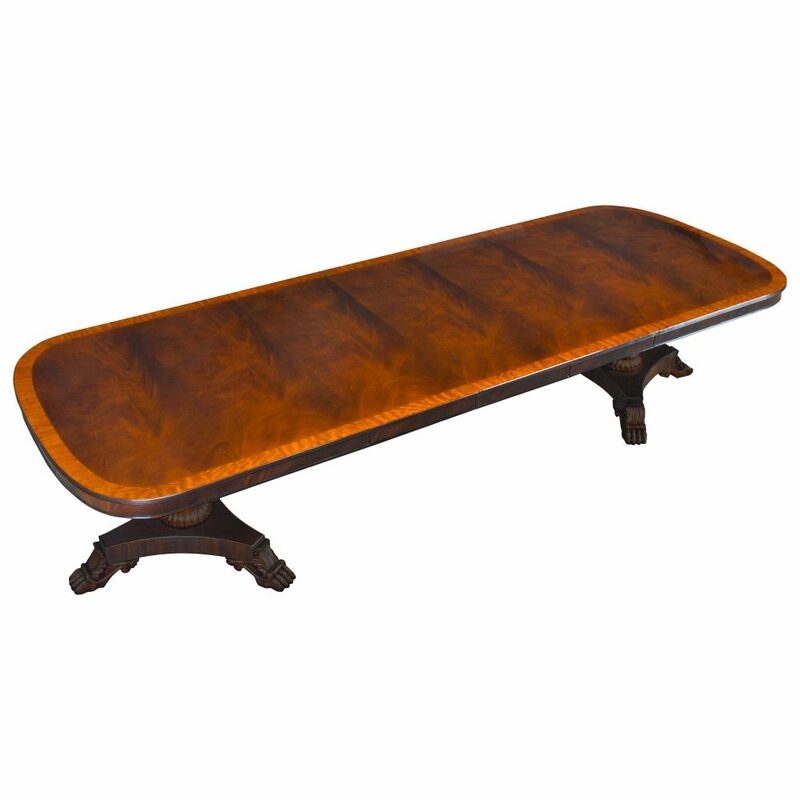 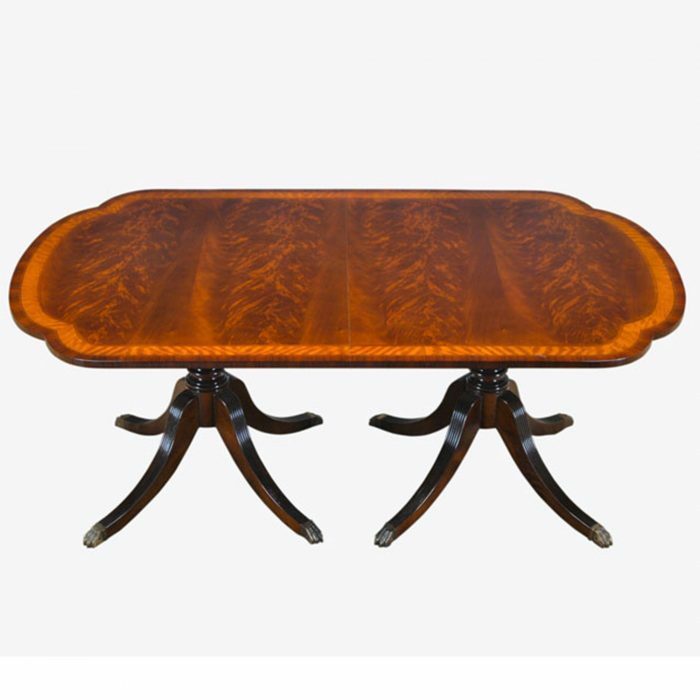 A reeded solid mahogany edge surrounds the entire table top. 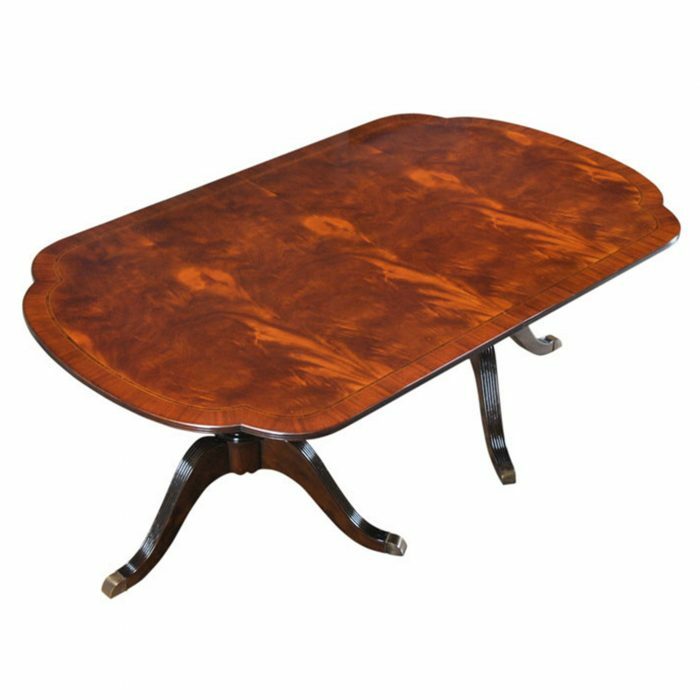 The top of our Regency Dining Table is produced from the finest figural mahogany veneers and it is satinwood banded in its’ entirety. 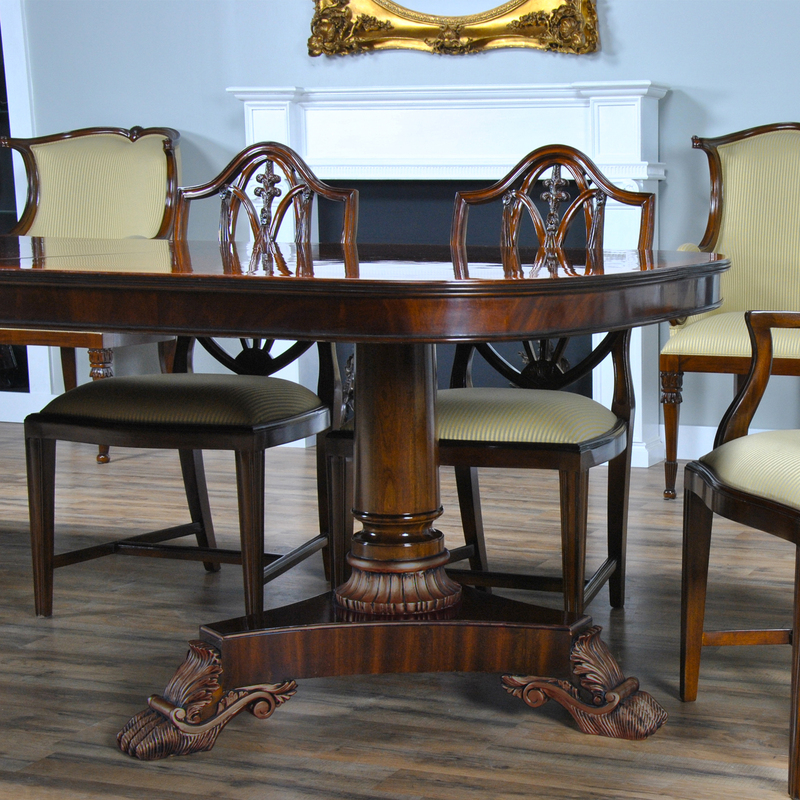 A perfect size for entertaining various sized groups ranging up to twelve people.